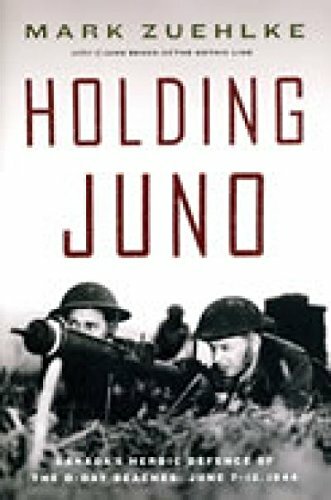 Following his national best-seller, Juno Beach, and with his usual verve and narrative skill, historian Mark Zuehlke chronicles the crucial six days when Canadians saved the vulnerable beachheads they had won during the D-Day landings. D-Day ended with the Canadians six miles inland the deepest penetration achieved by Allied forces during this longest day in history. But for all the horror endured on June 6 every soldier knew the worst was yet to come. Infantrymen of Les Fusiliers Mont-Royal, Groningen, Netherlands, 15 April 1945.